Wardrobe / Personal Shopping - Details etc. 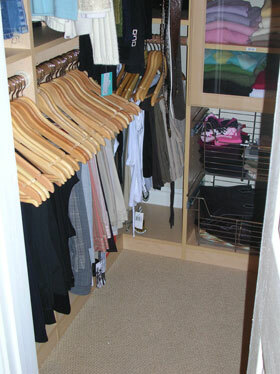 A closet full of clothes and nothing to wear is a frequent lament among women. Did you know that we wear 20% of our clothes 80% of the time? That leaves a whole lot of clothes taking up a lot of valuable real estate in our closets. 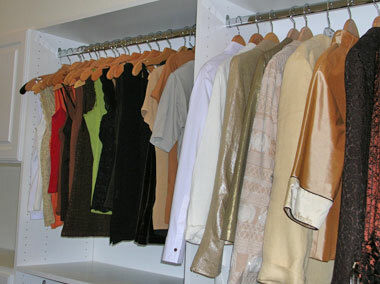 We’ll go through your wardrobe identifying what you like/wear, what doesn’t fit, is “dated” or no longer fits your lifestyle. We’ll maximize the space available in your closet, organizing hanging and folded clothes by color, length and style and utilize simple, cost-effective containers and products to help you get dressed each day with ease. I have a particular passion for fashion and love to shop. If you need assistance with revamping your wardrobe I can help you shop for new items and/or make outfits by shopping in your own closet.